Day two is a shorter day of riding, with less climbing than day 1. 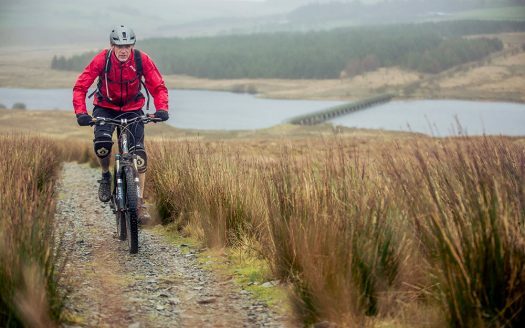 If you are doing the 5 day epic, and your legs are still working, why not take advantage of the world class mountain bike centre in Llandegla? A nice warm up on the trails will set you up for a day of adventure! Get used to opening and closing gates along the middle part of this route which takes you out of the sleepy village of Llandegla and through some typical Welsh farmland before the climb onto Llantysilio. Although interrupted by field boundaries it’s a nice route giving views down through the Dee valley and once you’re over the mountain it’s a straight run into Corwen where you’ll find some nice places to eat and stay. For a taster of what’s ahead, watch A Mountain Bike Adventure: Wales.